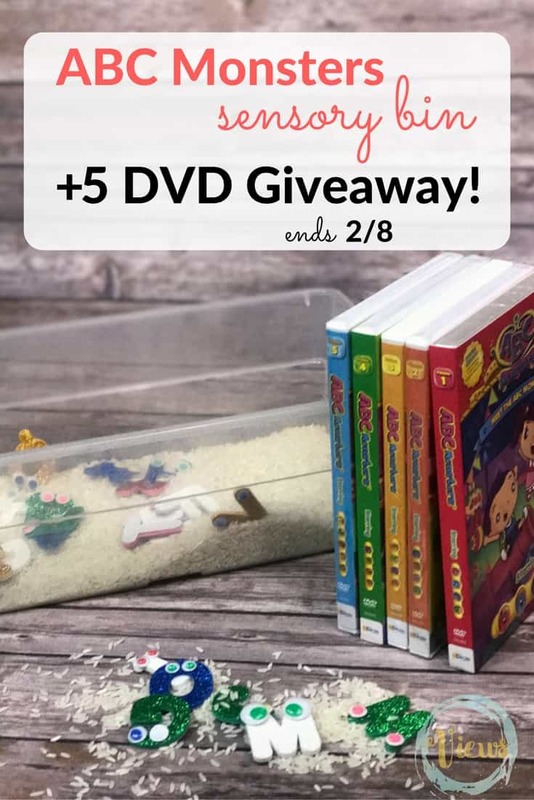 ABC Monsters Sensory Bin Plus 5 DVD Giveaway! ABC Monsters Sensory Bin Plus DVD Giveaway! 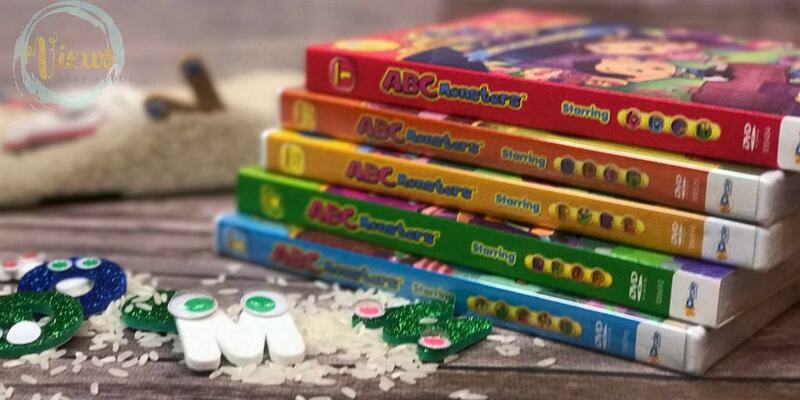 The ABC Monsters are fun, lovable alphabet monsters from the popular kids’ show that helps children recognize letters through a magical adventure. 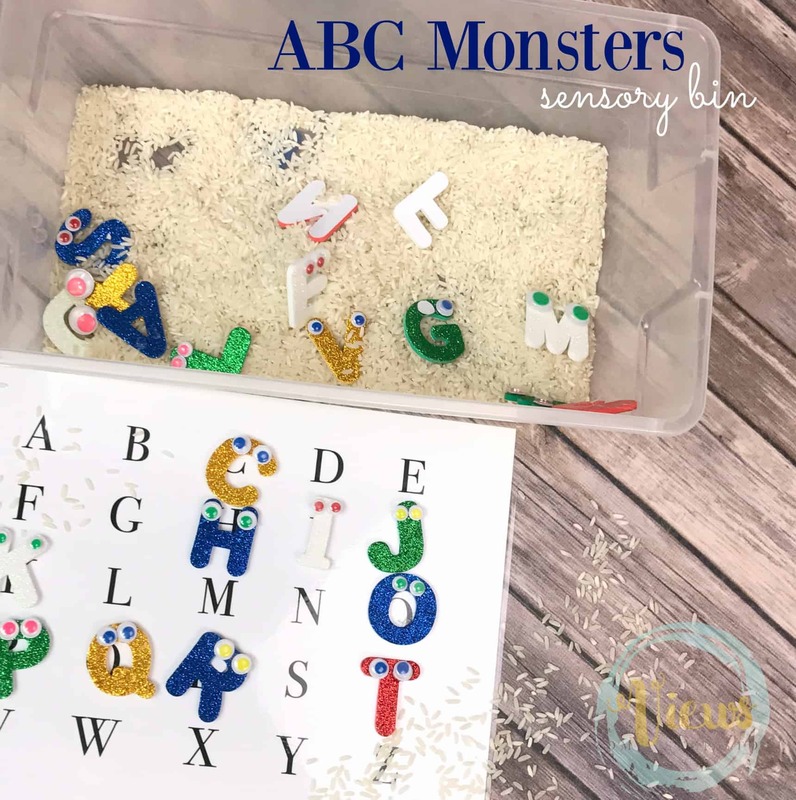 My own kids really enjoy the show, and love to play with our own letter monsters that we have created in an ABC Monsters sensory bin! 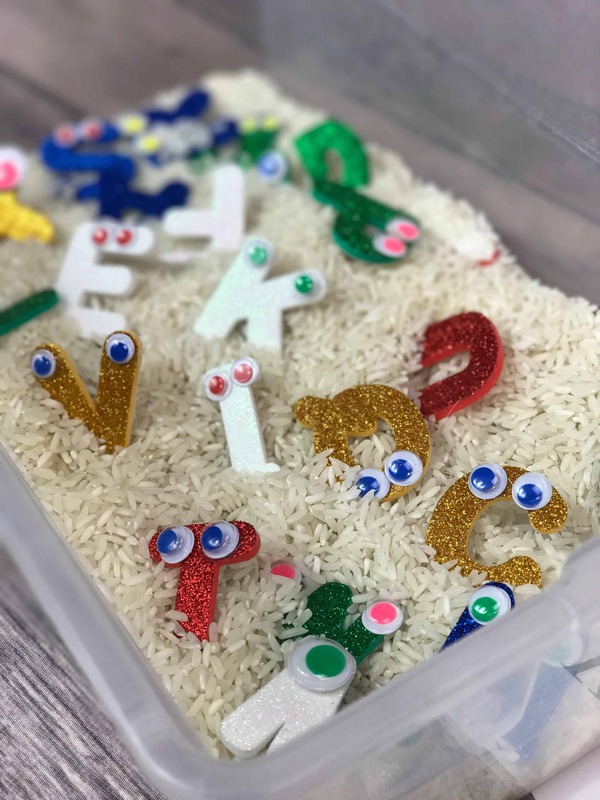 My toddler enjoys hunting for different letters, and my preschooler takes her play a step further, and matches the letters to a mat that we created while she sings along to the songs of the ABC Monsters! 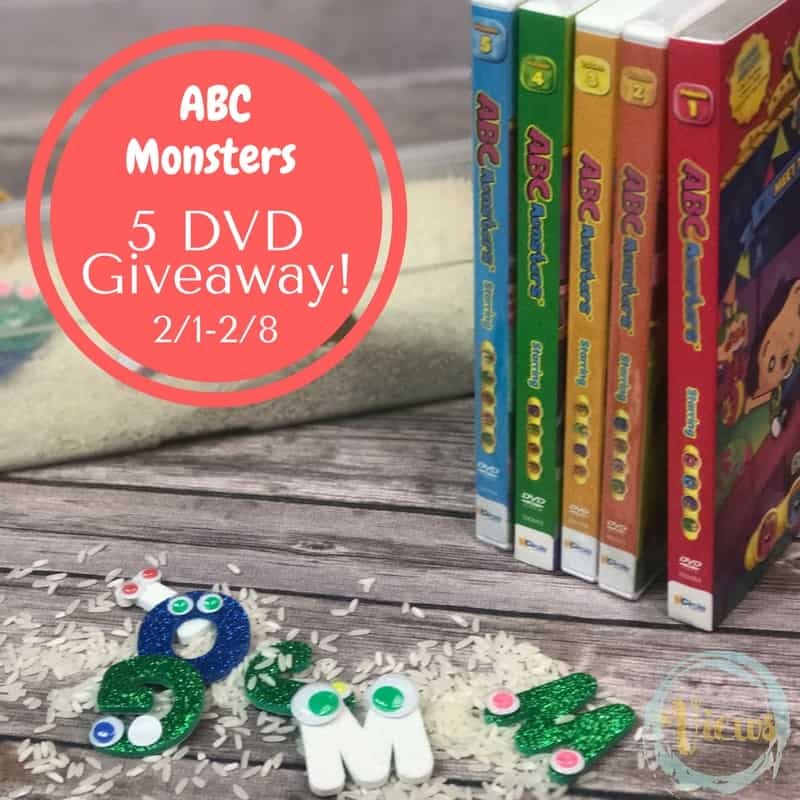 Check out the bottom of this post to enter to win your own set of ABC Monsters DVDs! *This post contains affiliate links, to see the policies and disclosure statement, click here. Hot glue some googly eyes to the tops of the foam letters. Pour the raw rice into the tub, and add the letter monsters. Have your children hunt for different letters. Play the songs from the ABC Monsters for some added fun and have your kids hunt for the letters as they appear in the song! Optional, type the letters of the alphabet on a page of paper and print it out to have your child match the letters like a puzzle once found. We laminated our paper to help with longevity, which has been great because my 3 year old has done this over and over again! 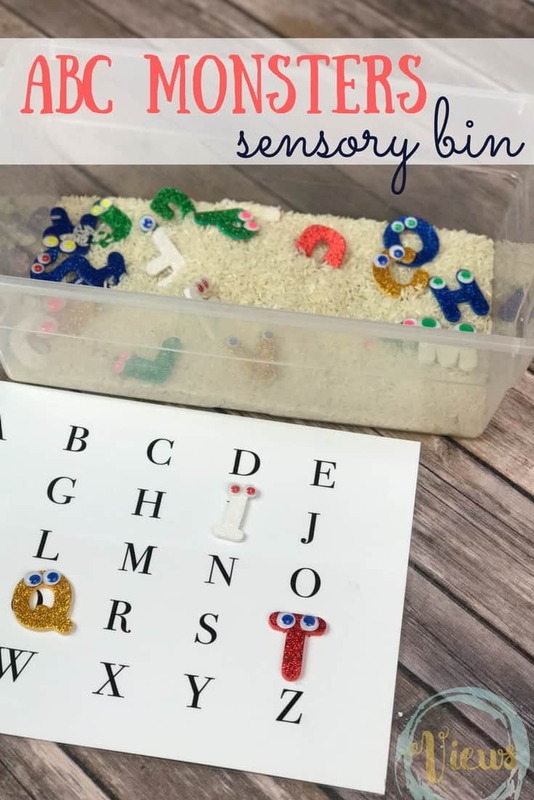 This ABC Monsters sensory bin play can be modified to accommodate a variety of ages. Using larger items like cotton balls instead of rice might be better for younger toddlers. 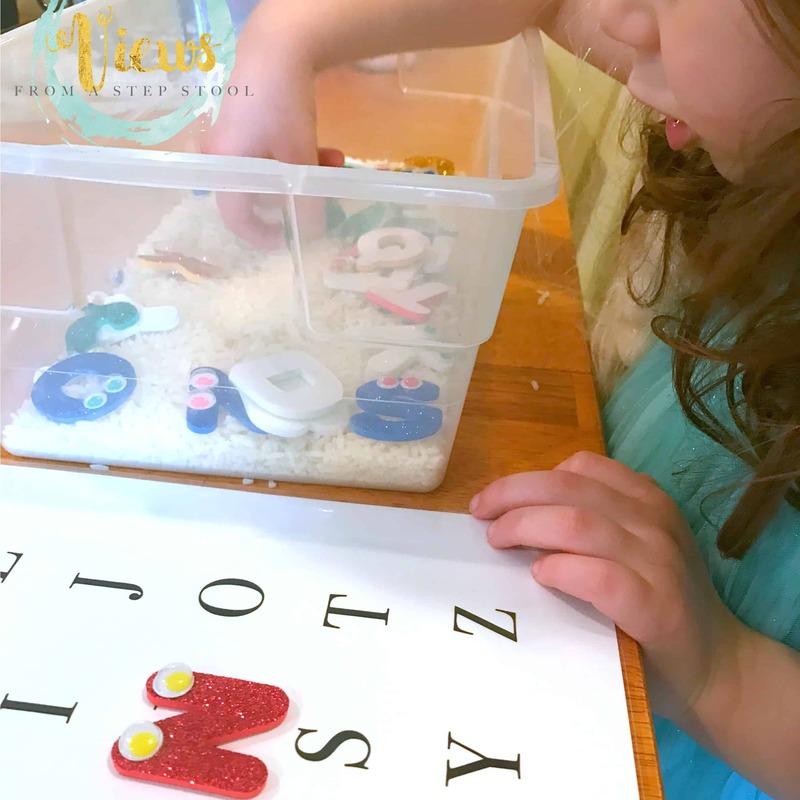 Additionally, you can make rainbow colored rice as a base for the sensory play for some added fun and difficulty in finding the letters for older children. Enter below to win, good luck! *This post was sponsored by NCircle Entertainment. I received compensation and product with the hopes that I would share my opinion here on this blog. All opinions expressed are my own. Such a cute idea! I think my almost 4 year old would love it! 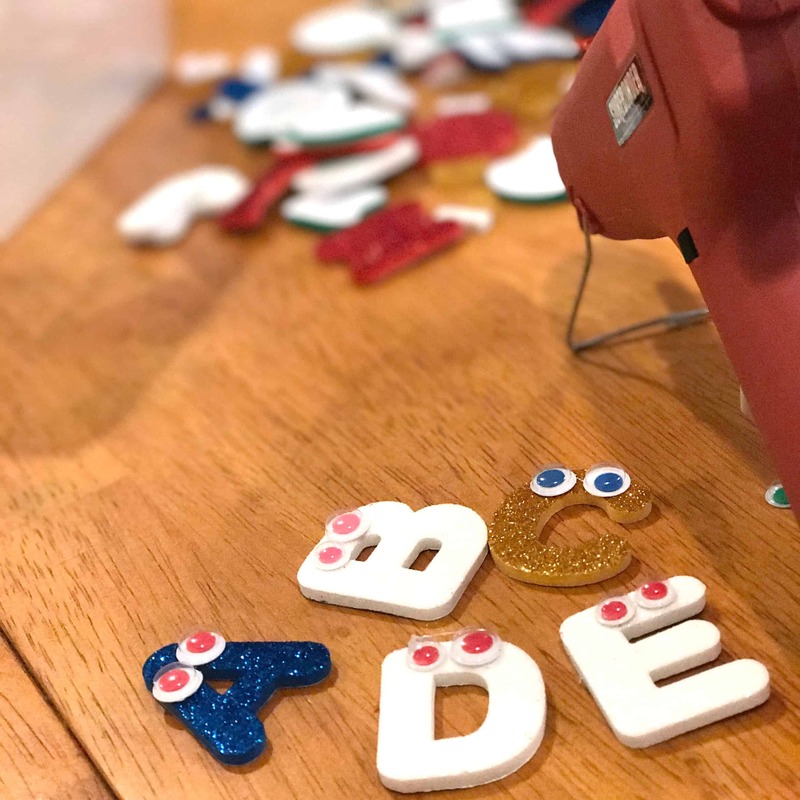 I have a 5 year old and a 4 month old, I know that the 5 year old would love them and I would love to start early with my baby learning letters as well. It’s really amazing what they pick up quickly! My grand daughter will love these. My son who just turned 4 would love them. These would be great for my grandchildren. My Daughter, I would give them to her for Her Birthday on Valentines Day. I know that this is one of our three year old grandsons favorite shows to watch on TV. He would love these all! My 4 year old would love this! I have a boy and a girl that would love these! My son would love these dvds. It would be perfect for him. My little one would love thee video! I think that my niece and nephew would really enjoy these dvd’s. Thanks for the giveaway. I hope that I win. What a great giveaway! This game seems like a fun activity too… my daughter loves all things monster. My 4 year old and 2 year old would love this! My toddler would like be these dvd’s and I’m sure that once his little brother is old enough he’ll love them too. He learns so quickly through videos that this is perfect. So exciting! I have two granddaughters who will soon be learning letters, sounds, etc. Their mamas and daddies would love this resource!! My kids would love these DVDs! My two smallest ones would love these! My granddaughter would love these DVDs.